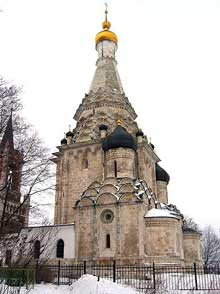 The design of the church is inspired by one of the two chapels of the cathedral of the Transfiguration of Christ in the village of Ostrov, a famous example of sixteenth century Russian religious architecture in the old muscovite style (see herebelow). Three rows of arches support a single cylindrical onion-dome atop the roof of the church. In the interior the roof is supported by robust arches above the high walls. The church is connected to the bell-tower building by a small room built in 1975. 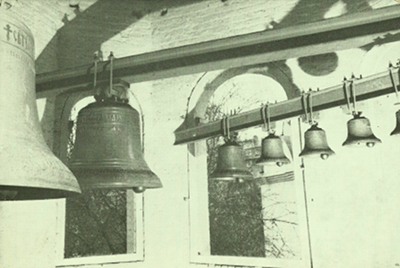 The church-bells, forged at the Sergeys foundry in Leuven, were installed in 1972 and form a series of seven bells that can be tolled using electrical controls to reproduce the traditional tunes accompanying the different parts of the Divine Liturgy. 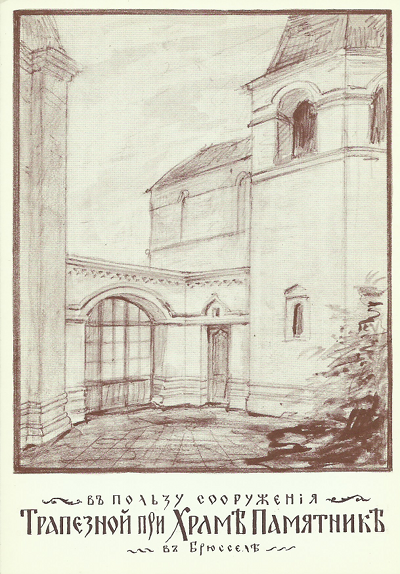 In July 1984 the church and its presbytery were formally listed by the Royal Commission of Buildings and Sites of Belgium. Major works of restoration were carried out in 2011-2012 and overseen by the "Direction des Monuments et Sites de Bruxelles-Capitale".